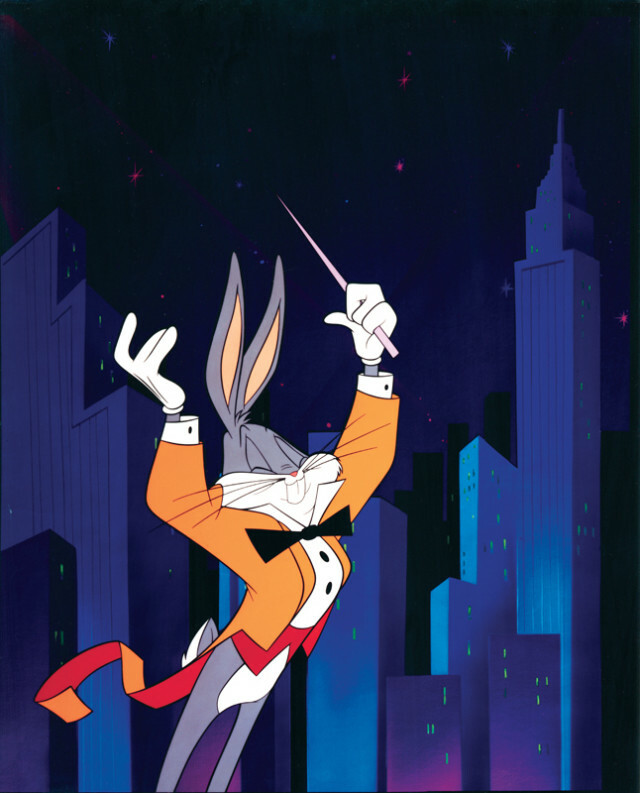 CONDUCTOR GEORGE DAUGHERTY will join the Seattle Symphony for the final live performance of the original Bugs Bunny on Broadway, which has been touring since its birth on the Great White Way in 1990. Classic Looney Tunes cartoons screen “as they’re meant to be seen, in a theater,” said Daugherty, “with the added bonus of 85 musicians playing the score live,” whether it’s for “The Rabbit of Seville” or “What’s Opera, Doc?”—Chuck Jones’s seven-minute parody of Wagner’s Ring cycle. But don’t worry: Elmer hasn’t retired his shotgun. Bugs 2.0 is slated to start up this year with a new selection of cartoons and Daugherty wielding the baton.